NordicTrack C4 si exercise bike is an innovative exercise solution that offers a number of intriguing features designed to help you successfully meet your fitness goals. 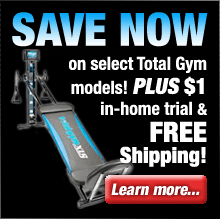 Reach your fitness goals with the NordicTrack C4 si. 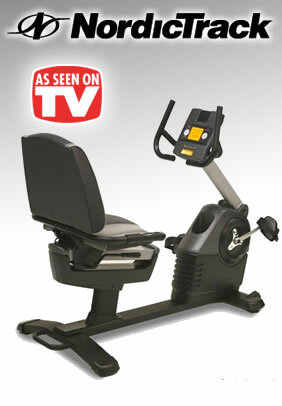 Designed with entertainment in mind, the C4 si features GameFit Touch-Screen and Interactive Fitness Games. Play Black Jack, Texas Hold ‘Em, Fat Blocker and Calorie Destroyer while you exercise! You’ll stay motivated throughout your workout and reach the finish line fast! The C4 si is also equipped with iFit Workout Card Technology. In just 8 weeks you’ll lose weight, feel great and improve overall fitness performance! Each card is designed by a Certified Personal Trainer and plugs directly into the console so all you have to do is pedal! Other features on this bike include a Compatible Music Port for iPod, built-in sound system, Grafixx Display, 24 built-in workouts, and an adjustable, oversized seat with lumbar support. Seat: This adjustable seat is bigger and cushier than most to guarantee you not only have a productive workout, but a comfortable ride. The chair-like design offers plenty of back support and quickly adjusts so you can find the right fit. Heart Rate Monitor: Make the most out of every workout by monitoring your heart rate with these built-in handlebar sensors. They will ensure you are in the right training zone for your goals. iFIT Interactive: Lose weight, feel great and improve performance in just 8 weeks with the interactive iFit Workout Card Technology! Each card is designed by a Certified Personal Trainer and plugs directly into the bike’s console, automatically adjusting your resistance while the voice of a personal trainer takes you through each workout. iFit Workout Cards are available in Weight Loss, Wellness, Circuit Training and Performance categories to give you the most advanced, interactive and result-specific fitness options. 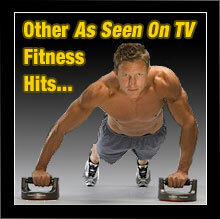 Workout Programs: Burn fat, lose weight and stay motivated with Personal Trainer Workouts. These programs take the guesswork out of your workout by automatically adjusting the speed and incline of the treadmill for increased intensity. Choose between aerobic, weight-loss or performance workouts and you’ll be on your way to success. The speed, time and incline of each workout are pre-determined so the only thing you have to worry about is pressing start. Games: Stay motivated throughout your workout with these interactive fitness tools! GameFit Touch-Screen and Interactive Fitness Games are built-in to the console and will add some fun to your workout routine! Play Black Jack, Texas Hold ‘Em, Fat Blocker and Calorie Destroyer; the harder you work, the easier the game becomes! Music Port: Move to the beat of your favorite music with this built-in sound system. Plug your iPod, or MP3 Player, into the Interplay Music Port for unbeatable sound quality. With the iPod resting on the console shelf, it’s within easy reach and leaves the controls right at your fingertips. Sound System: Enjoy your favorite media with this built-in sound system that produces a broad range of frequencies and rich, equalized sound. Display: The next generation of LCD technology, Grafixx Displays take training from typical to inspirational. This attractive display can either show multiple information fields, for more at-a-glance information, or show a single display as large as 1" tall, for on-the-fly goal training. Regardless of your training needs or goals, Grafixx Displays help you meet them better and smarter. This display tracks your speed, time, distance, calories burned and pulse. Heart Rate Workouts: Heart Rate Workouts help you stay in your target heart rate zone—increasing the resistance when you need to raise your heart rate and decreasing your resistance when you need to lower your heart rate. These workouts will help you stay on track to meet your fitness goals. Easy Entry: The upright console adjusts up and down so you can get on and off the bike with ease. Recumbent: Engineered for comfort, this bike is designed with a recumbent-style frame that is easier to get on and off than a traditional bike frame. The NordicTrack C4 si exercise bike is a top-quality exercise solution that’s designed to ensure that you get a superior workout every time that you use it. The C4 si exercise bike from NordicTrack will get you started toward meeting your fitness goals and burning off those extra pounds in no time.